National Development Council is one of the oldest non-profit community development organizations in the U.S. 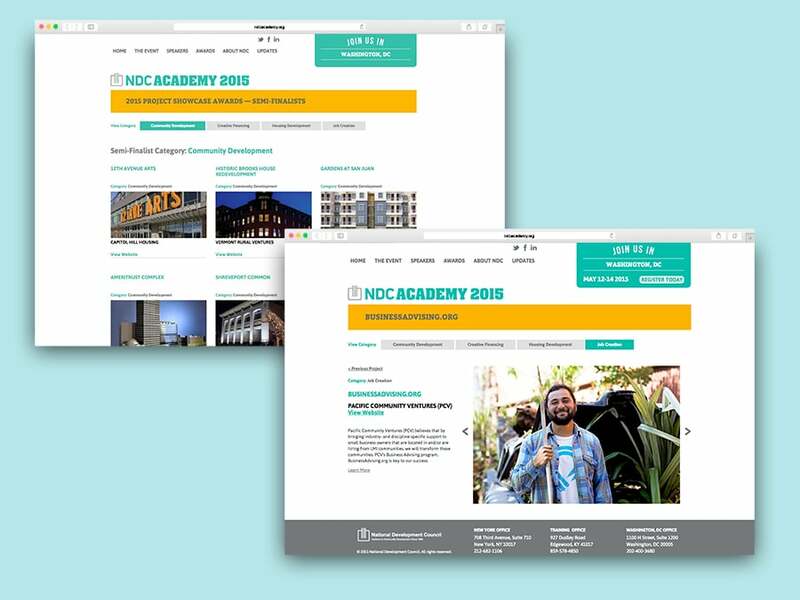 The NDC Academy is an annual event that brings together community development colleagues in Washington, D.C. to speak directly with government officials who are confronting the policy challenges that profoundly affect the community development world. Developed a new look and feel for the event, came up with the event's tagline, and designed all materials including logo, responsive website, direct marketing pieces, ads, brochures, and event banners. The website included an awards gallery that was utilized and displayed throughout the 3 day conference. Project submissions were sent from the website directly to NDC's SharePoint.